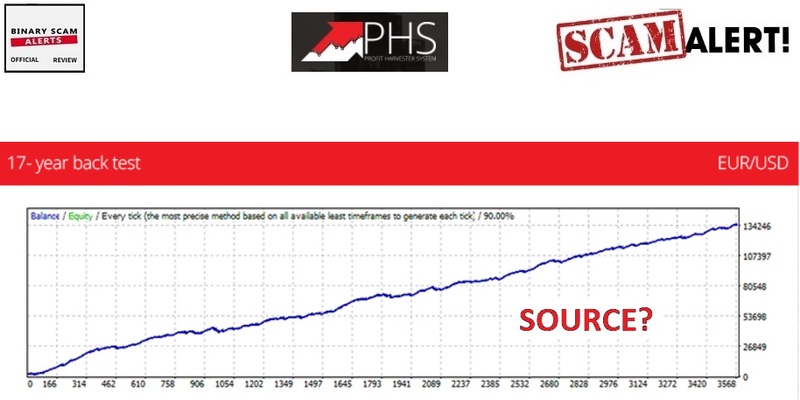 The Profit Harvester System (PHS) is a deceptive SCAM, and we blacklisted it immediately in our detailed and factual review and investigation. This is a classic case of the proverbial wolf in sheep’s clothing, and that is why we believe it to be so dangerous. At first glance, this fake software and trading robot looks like a legit or genuine trading app. However, as we started to dig in deeper and began exposing the deceptive elements of this tricky scheme we found out exactly how misleading and unsafe it is. It should come as no surprise that some affiliate marketers are promoting this latest scheme, so if you receive a SPAM email or suddenly see ads about the Profit Harvester System please make sure not to click on any links and immediately unsubscribe (if possible). 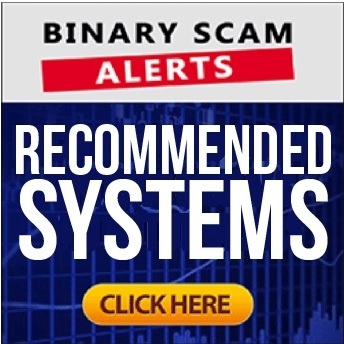 We have it from some of our most trusted sources that this software is fraudulent and designed with pure malice and the deliberate intent of stealing your hard-earned money. Keep reading to see how we exposed these crooks and why we believe the Profit Harvester is a confirmed financial scam. Here we see the image taken from the main sales page of the Profit Harvester System. It is reminiscent of similar styles of more legit systems we endorse here, such as the Wall Street Forex 2.0 Evolution. Only with one huge difference, it is a SCAM (and a very tricky one). Below you will see the rich and dominant testimonial section. We tried, but could not find ONE real person out of the many they have in place. “Aaron K.” is taken directly out of Shutterstock, and James S. stars in a dental implant commercial. Furthermore, these guys claim they have 17 years of back testing, but neglect to mention what source they use. Should we just take their word for it? I think not! all over the world to harvest profits.” It’s supposed to be a state-of-the-art self-learning trading app that earns money for you while trading the markets. According to the harvester website, this software provides you with cutting-edge money management tools, broker protection mechanisms, defensive trading tactics, exceptional ROI, premium customer service, and a built-in tool which filters out the bad trades. Impressive right? Well, we’re not buying into this cheating sham! This is supposed to be a “self-learning” trading machine which generates high profit strategies at minimal risk. The software is built with the combined knowledge of thousands of traders, and helps identify optimal trading opportunities. This software is integrated into a copy/paste user interface powered by a scam tech company which licenses dirty affiliates to promote its schemes. The testimonials are fake, the logos and certificates are also falsified, the results are fabricated as there is no source mentioned and the graph is too upward with no dips or downwards trends. Additionally we see various forms of hyped-up and exaggerated claims about no risk strategies and easy money at the click of a mouse. No, it is not so don’t be surprised if some heavy accented sales rep in the disguise of a “senior account manager” calls and tries to scam you out of your money. The minimum you will need to deposit in this case is $250, and that is just to get started. The money will be charged to your credit card by a crummy offshore and unlicensed broker. Not much has been written about this fancy little scam, but eventually it will pick up as “honest” review sites will surely endorse this fake auto-trader as long as they are well compensated and bribed for writing favorable reviews. The hot scams to watch out for are Crypto Trader and Profit Maximizer. We understand that at times choosing the right system can be a daunting task. It is for this reason exactly that our staff has compiled a short yet reputable list of consistent money-making apps. These are all proudly showcased in our recommended section. The Profit Harvester System is a verified SCAM and blacklisted with good reason in our fair and honest review. Don’t be fooled by the seemingly legit and genuine nature of this app. It is very dangerous and we have multiple documented cases where proof and evidence of credit card fraud as well as identity theft have been produced by helpless victims. You can’t afford to get scammed by these con artists and charlatans, so please refrain from joining this program and never agree to deposit. In light of all the indisputable proof our staff was able to produce, we are forced yet again to blacklist the Profit Harvester System (AKA PHS) and advise are members and viewers to seek alternative investment channels. Join our Facebook Page and YouTube Channel to get informed and updated.